Were you traumatized by high school calculus? Does the mere mention of integrals and derivatives make you queasy? Jennifer Ouellette feels your pain. She never took math in college, mostly because she — like most people — assumed that she wouldn’t need it in real life. But then the English-major-turned-award-winning-science-writer had a change of heart and decided to revisit the equations and formulas that had haunted her for years. And she’s here to tell you that the mysteries of calculus aren’t nearly so scary when they’re faced head on. 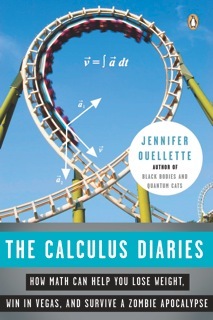 The Calculus Diaries is the fun and fascinating account of her year spent confronting her math phobia head on. With wit and verve, Ouellette shows how she learned to apply calculus to everything from gas mileage, diet, and the rides at Disneyland, to shooting craps in Vegas, and warding off zombies famished for tasty fresh brains. Along the way, she proves that even the mathematically challenged can learn the fundamentals of the universal language. “Back in the day, when I was close to flunking out of calculus class because I couldn’t understand why it was worth my valuable time to actually understand it, I needed someone like Jennifer Ouellette to gently explain how I wrong I was. She’s like every English major’s dream math teacher: funny, smart, infected with communicable enthusiasm, and she can rock a Buffy reference. In this book, she hastens the day when more people are familiar with an integral function than with Justin Bieber.” — Peter Sagal, host, NPR’s “Wait, Wait Don’t Tell Me,” and author of The Book of Vice. “In this wonderful and compulsively readable book, Jennifer Ouellette finds the signature of mathematics — and especially calculus, of course — in the most unexpected places, the gorgeously lunatic architecture of Spain’s Antonin Gaudi, the shimmering arc of waves on a beach. Just following her on the journey is the half the fun. But the other half is learning about the natural beauty and elegance of calculations. Ouellette’s ever clear and always stimulating voice is a perfect match to the subject – and The Calculus Diaries is a tour-de-force.” — Deborah Blum, author of The Poisoner’s Handbook: Murder and the Birth of Forensic Medicine in Jazz Age New York. “As amusing as it is enlightening, The Calculus Diaries is no dry survey of abstractions. It’s a guide to everyday life—to car trips and roller-coaster rides, diet and exercise, mortgages and the housing bubble, even social networking. As Ouellette modestly recounts her own learning curve, she and her husband become characters alongside eccentrics such as Newton and Gaudi and William the Conqueror. Like a great dance teacher, Ouellette steers us so gently we think we’re gliding along on our own.” —Michael Sims, author of Adam’s Navel: A Natural and Cultural History of the Human Form and Apollo’s Fire: A Day on Earth in Nature and Imagination. “If you ever thought that math was useless, read this book. Want to survive a zombie attack? Win at craps? Beat a zombie at craps? Well, listen to Jennifer Ouellette. The math she describes might just be your best hope if you don’t want your brains to be gobbled by the undead.” — Charles Seife, author of Zero: Biography of a Dangerous Idea. Why yes, you can become a fan of the book on Facebook! Follow author Jennifer Ouellette on Twitter! Check out her Author Page on Amazon! Find out where she’ll be on BookTour! Jennifer Ouellette is the author of The Calculus Diaries: How Math Can Help You Lose Weight, Win in Vegas, and Survive a Zombie Apocalypse, due out August 31, 2010. 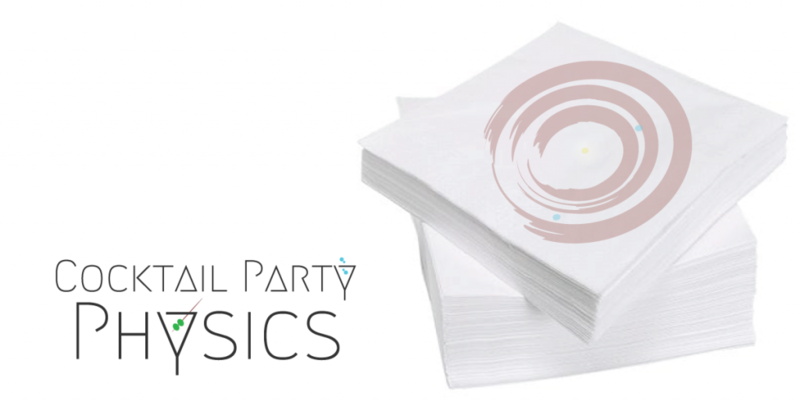 She is also the author of The Physics of the Buffyverse (2007) and Black Bodies and Quantum Cats: Tales from the Annals of Physics (2006), both published by Penguin. Her work has appeared in The Washington Post, Discover, New Scientist, Salon, Symmetry, Nature, and Physics Today, among other venues. She blogs at Discovery News, and maintains the group science blog Cocktail Party Physics. BITTEN BY THE MATH BUG? Want to delve a bit more? Here’s a couple of lists via Amazon’s Listmania compiled by the author showcasing some of her favorite math-inspired books — one for nonfiction, and one for fiction. Fig. 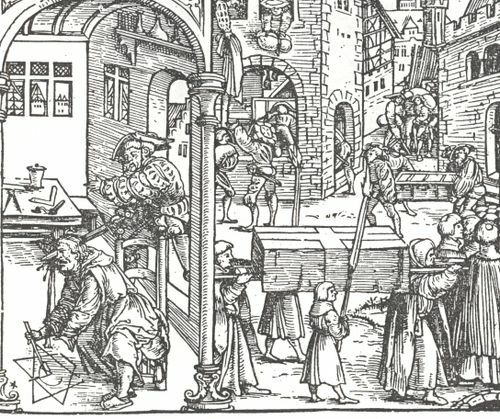 0: Woodcut depicting the death of Archimedes, from Livius, Romische Historien (1546).Source: Ptak Science Books. Public domain. Fig. 3A: Gerolamo Cardano. Source: Wikimedia Commons. Public Domain. Fig. 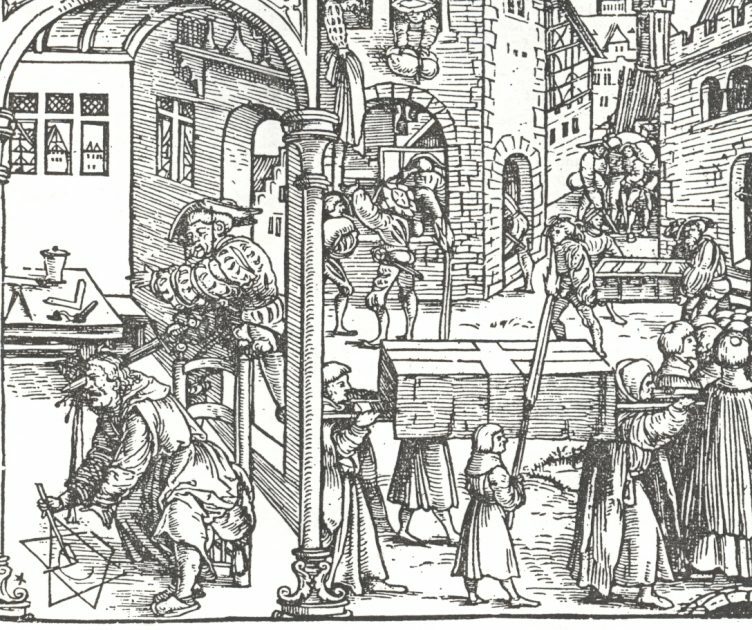 6C: Woodcut depicting the Black Plague in medieval Europe, from the Toggenburg Bible (1411). Source: Wikimedia Commons. Public domain. Fig. 7B: James Prescott Joule’s apparatus for measuring the mechanical equivalent of heat. Harper’s Monthly Magazine, No. 231 August 1869. Source: Wikimedia Commons. Public domain. Fig. 9E: Fourier transform of a cat. Copyright Randall Munroe, xkcd. Reprinted with permission. Fig. 10: Johann Pestalozzi, circa 1790. Source: Wikimedia Commons. Scanned from Die großen Deutschen im Bilde (1936) by Michael Schonitzer. Public Domain. All illustrations in Appendix 1 generated by Sean M. Carroll using Mathematica. 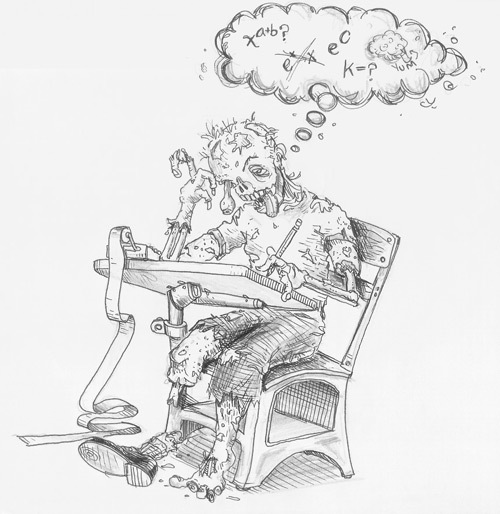 Zombie illustration in Appendix 2 by Jason Torchinsky.